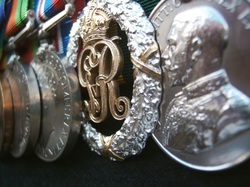 Below are listed in alpahabetical order each of the individual medals in my collection. Click on each medal in the left hand column to read more about it and click on the right column to link back to each group containing this paticular medal. This page is presently being populated and is not yet fully upto date or functional.